This transformation is one of our biggest, and definitely one that we are most proud of. 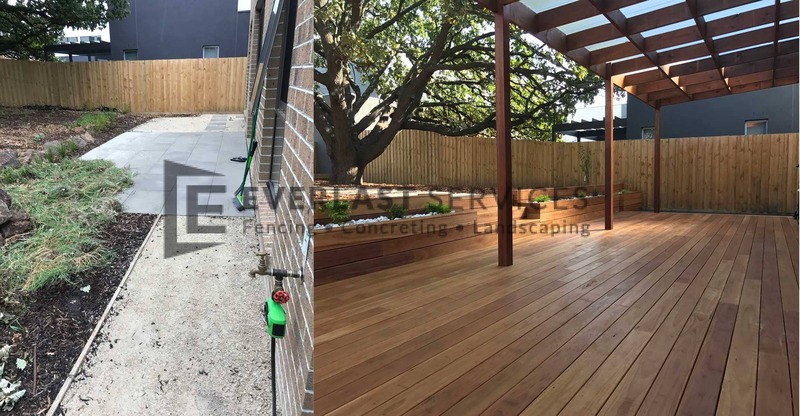 We completely altered the feeling of the client’s backyard, working alongside them to create an outdoor oasis to accompany their home. For us, that is the most important thing. Ensuring the satisfaction of the client, while creating something that exceeds their expectations. As you can see, prior to Everlast taking over, the backyard was a little bleak. 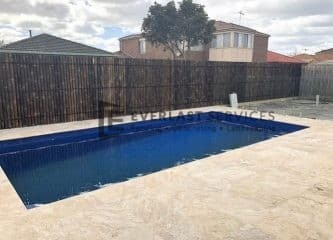 With minimal attention to tiling and landscaping, it was in need of some serious TLC. Well, that’s where we come in. We suggested some premium timber decking, featuring an overhead pergola to provide a light, airy space where the family could eat, relax and unwind. 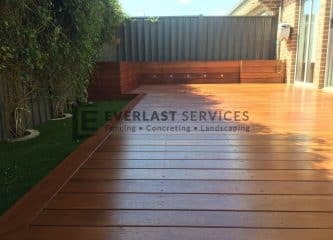 When creating an about an outdoor, hardwood timber deck, you must balance the desire to create a style statement, whilst ensuring maximum durability. Well, mission accomplished we say. This decking option will really impress for seasons to come. Not only is it more durable than before, but it now makes for reduced maintenance and increases the value of the home. Plus, we think it looks pretty good, if we do say so ourselves.